Compass is buying Stribling & Associates, one of New York City’s last major independent brokerages, The Real Deal has learned. Financial terms were not disclosed. But the acquisition is Compass’ first major one in its hometown of New York City, and leaves the venture-backed firm with about 1,800 agents in 11 offices here. Stribling, with a reputation for tony listings on the Upper East Side, placed fifth on TRD‘s most recent ranking of residential firms in Manhattan. With just 270 agents in Manhattan, the boutique brokerage has a robust new-development marketing division and punches above its weight. It closed $1.62 billion in sell-side deals last year in the borough, according to TRD‘s analysis. It also operates a residential division for homes $5 million and up, known as Stribling Private Brokerage, which is run by Kirk Henckels. In a brief interview Wednesday, Elizabeth Ann Stribling-Kivlan, president of Stribling, said her agents would prosper under Compass, which was valued at $4.4 billion following a $400 million round last year led by SoftBank. 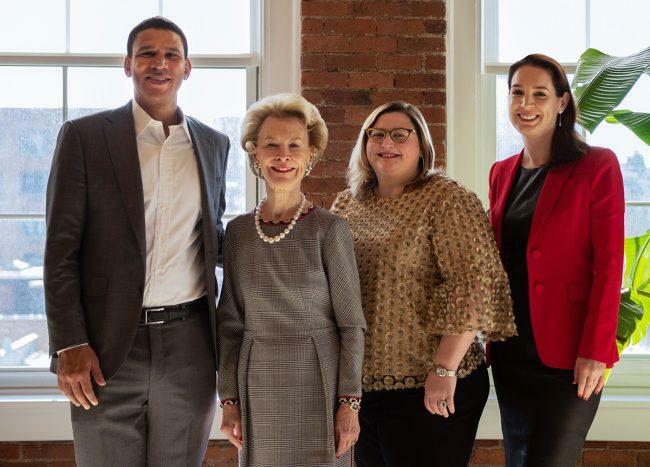 “To work with a company focused on making the agent as relevant as possible, and ensuring their livelihood is paramount to this… you can’t say that about every firm in this city or country,” she said. Stribling-Kivlan added that she and her mother — who co-founded the firm in 1980 — have no plans to go anywhere and will stay with Compass. For Compass, which placed third on TRD‘s Manhattan brokerage rankings with $2 billion in sell-side deals, the acquisition of Stribling gives it a better chance to take down the longtime market leaders Douglas Elliman and the Corcoran Group. It also represents a departure in local strategy. While Compass has grown significantly since launching in New York in 2012, its growth here has largely been driven by top talent recruited from rival firms, rather than acquiring rival firms outright. The national acquisition spree it’s embarked on over the last two years — which includes big fish like Pacific Union as well as smaller shops in Chicago, Silicon Valley, Washington, D.C. and Westchester County — never made its way to the top tier of Manhattan firms. Sources said in recent weeks, rumors began circulating that it was acquiring Stribling for its new development marketing chops, a segment Compass has struggled with. The deal comes at a time of significant overhaul in the residential brokerage industry, with former prominent names such as Town Residential going under while industry leaders such as Elliman and Corcoran have plotted out paths for significant national expansion. There’s also been an influx of new lead-generation firms and a push by tech giants such as Zillow to get a bigger piece of the pie. Stribling was also rumored to have been talking to Berkshire Hathaway, which has been angling for a more significant presence in New York City. Compass, headed by Reffkin and Ori Allon, said in September that it would be doubling down on its tech capabilities ahead of a potential IPO. It hired a machine-learning expert to lead its software division and last month acquired Contactually, a CRM tool.